I love Chelsea Handler. She’s a straight shooter and doesn’t have much of a filter. She just hosted a Q&A on Facebook Live with “Ghostbusters” star Melissa McCarthy. They answered audiences questions about being a boss. It was funny, but for those actually looking for help with their questions, I fear they didn’t get it. Her off the cuff tips may not have been super practical. So I am here to help. How do I tell my co-worker that is always cold to bring a jacket? My boss often contradicts himself. How do I handle an inconsistent or forgetful boss? Should I engage in office gossip? And if I don’t, how can I avoid it without appearing anti-social? This is a personal commitment to communicating with transparency and honesty. THIS IS HUGE! We all like to believe we are always honest, but when you add transparency to honesty, it takes it all to a new level. Now let me “clarify my meaning” transparency DOES NOT mean you have license to blurt out all of those inside thoughts (not everyone can be Chelsea Handler). It DOES MEAN you commit to communicating with honesty and integrity and doing it as effectively and appropriately as you can ALL OF THE TIME. And let me be even clearer, this is not an easy commitment to make. There are a lot of reasons, and good reasons, that leaders are not transparent. Reason #1: Quite simply it’s easier to not be. Transparency requires us to be uncomfortable and deal with conflict head on. Most of us would rather avoid conflict, but leaders don’t have that luxury. Reason #2: Quite simply, it’s hard to do. Being transparent requires humility and intention, and a willingness to put yourself last and others first. SCENARIO #1: When you have a co-worker that perhaps is annoying or has a need that no one else in the office has, you have a few choices? You could: Ignore it OR Gossip about it and risk relationships. Remember gossiping says more about you than the person you are talking about. You should: Share your frustration with respect and seek to find a solution. SCENARIO #2: When you have a boss who may be inconsistent or forgetful? You could: Ignore it OR Gossip about it and risk YOUR relationship with your boss. You should: Be curious? Ask questions and get more information. Who knows why people are inconsistent. Perhaps they have thought about it more and reconsidered, or maybe they had a meeting you didn’t know about, or perhaps they just plain forgot. Either way, your goal is to get the job done while maintaining healthy and effective relationships with your supervisors and colleagues. This requires a commitment to transparency before you get frustrated and judgmental ask questions. SCENARIO #3: And when folks are gossiping…you really only have two choices. You could: Ignore it OR gossip about it and risk relationships. You should: IGNORE IT. Leaders who are committed to being honest and transparent don’t gossip. Office gossip is poison. It inflects teams and organizations and eventually leads to death. It kills relationships and can murder YOUR own credibility. You have worked hard to establish yourself and get to where you are; don’t lose it over something that simply is unnecessary. Ignore it. Don’t engage. And if you are, in fact, their supervisor than you are responsible for ensuring others don’t gossip and re-directing their behavior if they are. One of the most relevant and useful concepts and tools I learned years ago was “triangulation”; it’s a simple communication equation that makes it so much easier to be a transparent leader. Triangulation is a common, yet dangerous, communication habit that must be broken. 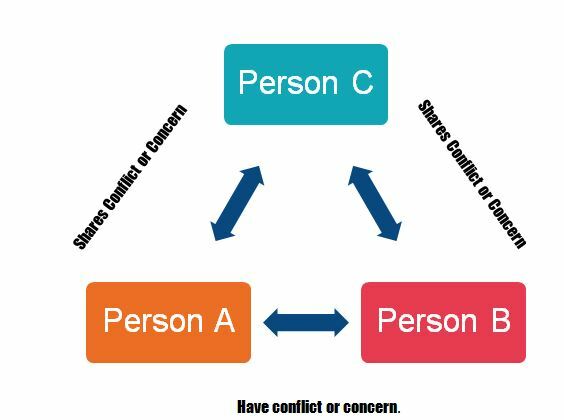 It requires at least 3 players; Persons A, B, and C.
Here’s what happens: Person A has a conflict, issue, or concern (small or large) with Person B. Then Person A talks to Person C about the problem. Not Person B. And Person C usually then talks to Person B or even D and so on. This begins an unhealthy cycle of communication that creates more conflict and almost never results in a resolution. *Note: If you need to seek counsel, do it with a trusted friend, mentor, or coach who is preferably external to the organization. When you commit to being transparent and avoiding triangulation will empower you as a leader and help you establish the credibility you are seeking and trust and respect you want in others. It equips you with the tools you need to make decisions, resolve conflicts, and build a team that is cohesive and productive. You will be a more effective leader. How can you communicate more clearly? This is probably the #1 ask I get from leaders and teams. And it is because communicating clearly is a lot harder than it looks. How many times have you communicated something to someone, believing you’ve been clear, only to have things go sideways because the communication was NOT clear. When it comes to communication we take a lot for granted. Think about how often and frequently we communicate with people, both spoken and written. It is woven so deeply into our everyday lives that it seems like something we should have all perfected by now. But it is actually the frequency with which we communicate that has actually made it so easy for us to mis-communicate. 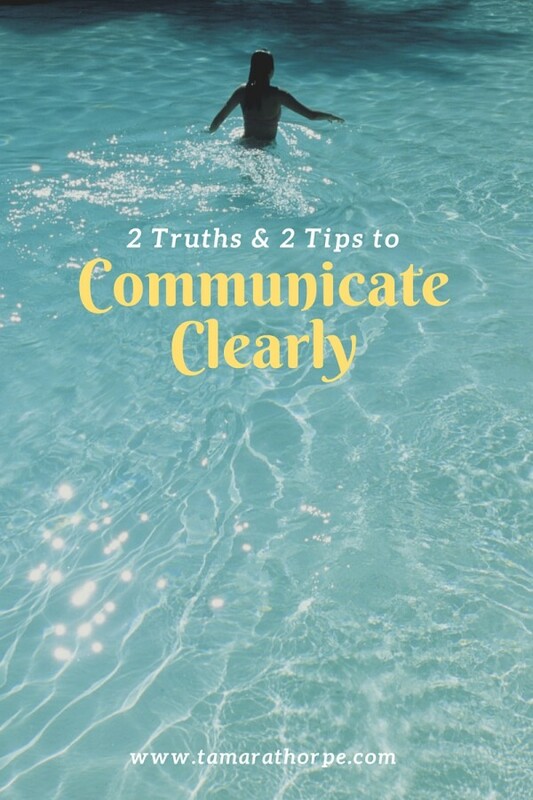 Here are 2 Truths and 2 Tips to communicate clearly that are so simple it will BLOW YOUR MIND! Truth #1 Pure communication is impossible! We all associate different meanings to the same word, because our context influences how we communicate. Example: Chili, a simple word. But here in the Southwestern part of the US the context shapes the meaning (for other parts of the country its soda vs pop, but I live in the Southwest). Texas Chili is a meal made up of meat and a spicy sauce, while New Mexican Chili comes in two forms, red or green. It is a spicy sauce that goes on top of a meal or is used to marinate meat or add flavor to a stew. Now if you are not from the Southwest, this may not seem like a big deal, but just ask a New Mexican or a Texan. Or even the word COLD! I’m from California so my cold is an easy 65 degrees. And I can hear the laughter from all of you from less temperate climates. The climate you grew up in or live in shapes what cold means to you. We also have different emotional connotations for words so the same word can have very different emotional effects on different people. Example: Perhaps you have criticized for something, and as a result you are more sensitive to certain words. For me it’s “quiet”. I speak loudly, which as a professional trainer and speaker this comes in handy. However, there are times when its not so hand. I’m pretty aware of this and so I’m pretty receptive to being told that I’m loud. I’m not receptive to being told to be quiet, nor being asked to keep it down, be quiet, or shushed. I have a very knee jerk reaction and feel frustrated and angry quite quickly. While being told, I’m loud does not. Tip #1 Clarify your meaning. Our understanding of each of these expressions is based upon our own values of time, work ethic, cooperation, and collaboration and so the meaning differs from person to person. When I say right away, I will literally drop everything and get to work on something. For others, right away may mean “When I’ve got free time after completing my current task”. So if we don’t have the same understanding of right away then we have not communicated clearly and as a result don’t have clear expectations. When our expectations aren’t met, we think an agreement has been broken, we judge, and conflict ensues. Use the 5 W’s: Who, What, When, Where, and How to help you clarify your meaning. Taking the extra effort to clarify meaning from the start will save you a tremendous amount of time and frustration. If you can begin with an agreed upon shared understanding then you can avoid wasting time trying to resolve a miscommunication due to unmet expectations. Truth #2 Communication is such an integral and integrated part of our everyday life that much of our communication is unconscious. This is the reason communicating in difficult or emotionally charged situations is so difficult, because we have to be more deliberate and conscientious with our words. Take the time to reflect on what you want to say and how you want to say it before you say it. See my previous post on the Awareness Wheel, it’s a huge help. Choose words more carefully so that your intention matches the impact. Adapt and adjust your communication to your audience. Share your communication preferences and needs with others (ie I let others know if I get loud, tell me I’m being loud, please don’t ask me to be quiet or shush me). Communicating more clearly is much easier than you think, but ONLY IF you practice. So what that means is for a few weeks you’re going to feel like a freak, or at least how you might feel when you travel to a different country and don’t know the language. Communicating more clearly will feel like you are speaking a different language. But not for long. While you are practicing, you have to be hyper aware of how you and those around you are communicating, then push yourself to reflect on what is happening, clarify your meaning and be more intentional. Just like anything new, you may feel awkward in the beginning and want to give up, but TRUST ME, if you give yourself some time you can create a new normal. Communicating clearly will not only feel natural, but also improve your communication, relationships, and leadership. The last couple of months have been particularly difficult for me! Actually, the last couple of years have been tough, ever since the death of Trayvon Martin. As a leader, interculturalist, social activist, woman of color, and US citizen I believe we could and should be doing better. And I don’t know about you, but I am feeling overwhelmed with ALL OF IT! Help you be the best possible leader, NOW! The racial tensions and conflicts happening right now reinforce how critical it is for leaders to understand and engage difference differently. Strategies that organizations have been using just don’t work. We need to lead difference differently. That requires more than a Diversity Policy; it requires leaders to have intercultural competence. Intercultural competence is defined as the ability to effectively and appropriately interact with people across difference. Is intercultural competence a silver bullet? However, it is the greatest tool you can have when it comes to leading difference. There are very few corners left in the world where an organizational leader leads a group of people who were “just like them”. But even in the most homogeneous communities, differences still exist: personality, family traits, ability, education, community, class, and so on. So let’s get real. You’ve got to GET IT. Differences exist, even though we don’t always know what they are, we experience them. Societal and institutional structures favor some differences over others. Discrimination and oppression are real, even if you have never experienced it yourself. The current approach to diversity within organizations is at best insufficient, and at the least a complete failure. Develop diversity policies or training in response to conflict, which is just too late. Perceive these policies and trainings as mandatory for the majority and only a problem for the minority. Who use bullying and shaming as a “training technique” and a bad training is worse than no training. Whose techniques reinforce individual’s bias and stereotypes. It is time to do something new. Most of us minimize difference because it is easier to focus on what we have in common than to develop the necessary awareness, attitudes, skills, and knowledge to interact effectively with the complexity of difference. It is time to face difference differently. So how can we develop our intercultural competence and our ability to lead individuals, teams, and organizations across difference more effectively? Here are four steps you can start today! • Diversity is about the other. • The more we know about “them” them more diverse we are. • Hiring someone who is diverse will make our organization diverse. • Diversity training is enough to meet our diversity goals. • Opportunities to introduce or exchange culture will bridge the gap. Creating diversity within an organization does not happen by accident and cannot be corrected by a “token” effort; it must be an intentional and integral part of your mission, vision, and values. As a Founder, CEO, or leader within an organization it is up to you to set the vision and tone. If you are not interculturally competent, it just won’t work. Culture hides much more than it reveals, and strangely enough what it hides, it hides most effectively from its own participants. Years of study have convinced me that the real job is not to understand foreign culture but to understand our own. Learning and developing your intercultural competence comes from experience and practice; it doesn’t just happen on “cultural potluck day” but in our daily interactions with one another. Start leading difference differently today. Join me Wednesday, January 28th at the #GlobalLife2015 when I spill the beans about the good, the bad, and the ugly of having a global career. I’m thrilled to be part of – the Living Your Ideal Global Life Summit taking place January 26-30, 2015. And I can’t wait for you to join me. The session was recorded on an earlier date but I will be online LIVE during the session to chat with you during the interview. And listen to my most recent interview by Jason Bay on his Gen Y Success Show and hear why he made my Top 10 Mentoring Websites for Millennials. Today, I was the keynote speaker for the Albuquerque branch of the Federal Executive Board’s Excellence in Public Service Awards. I was hoping to record my presentation to share with all of you, but wasn’t able to swing it so I’m posting it here for you to read. Hello and good morning! I’m excited to be here with all of you today and to be a part of your Excellence in Public Service Awards. I was invited to speak with you all about Millennials and Excellence. Millennials, also referred to as Generation Y, are those born between 1981-2001. I’d like to begin by sharing a couple of quotes with you. What’s interesting about these quotes is that they aren’t about Millennials. The first quote is by Tom Wolfe from his article in Time Magazine in 1976 where he coined the term “Me Generation” in his critical analysis of Baby Boomers, those of you born between 1946 and 1964. The latter quote is by Professor Christine Henseler, an expert on Generation X, those of you born between 1965 and 1980. But doesn’t it sound familiar? With the amount of media attention that has been given to the latest generation of 20 somethings, it is difficult to imagine that that 20 something’s existed previously. You see every generation suffers from being 20 something. It is quite a spectacular and provocative time in our lives, one where there is a lot of personal growth, exploration, and introspection. This time in our lives is also known as “emerging adulthood”, characterized by feeling unstable and uncertain, yet optimistic and free. In our twenties it is a time of transition, when we are learning to be an adult and take responsibility for ourself, but this comes with plenty of growing pains. Similar to Boomers and Gen Xers, Millennials are taking a lot of criticism for those growing pains. But are Millennials really that different from former generations in their twenties? In the 70’s Baby Boomers were referred to as “materialistic slackers who cared more about themselves than society”. The 70’s was a time for “self-realization” and “self-fulfillment”. By the way, I’d like to thank you all you Boomers for meditation, yoga, EST, and the monetization of “self-help”! And in the 80s, we were led to believe that Generation X, was made up of nothing more than “cynical, hopeless, frustrated and unmotivated slackers”. And a special thanks to my fellow GenXers for MTV, the rubics cube, grunge music, and mainstreaming tattoos. Don’t get me wrong, generational differences do exist. Societal changes and world events certainly shape our worldview and values, but Millennials aren’t necessarily criticized for their worldview, but primarily for their inability to be more like us. So how are millennials different? 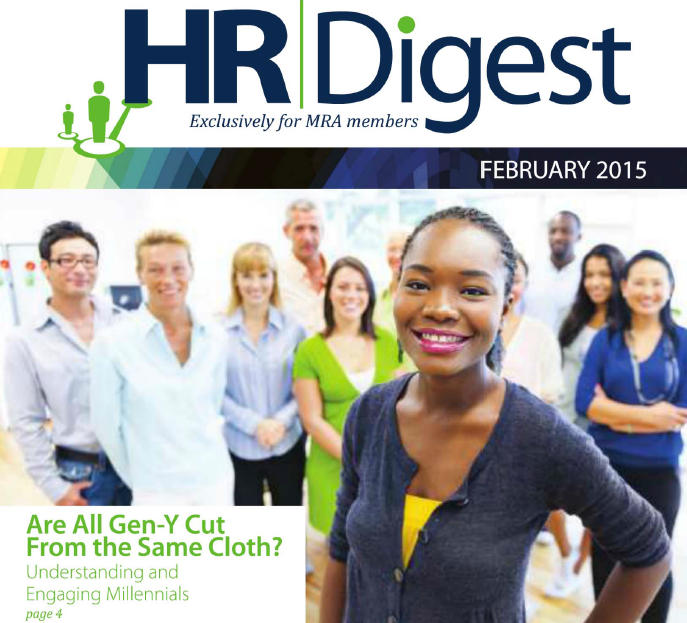 Millennials are a very ambitious generation and have mastered the life-work balance. They are confident and not afraid to question authority and ask for what they want, which is to be included and involved. Millennials have close familial relationships; they have been pampered, & nurtured and expect the same in their professional relationships through feedback and validation. It may be that their courage and optimism scares us and I know it challenges us to think different. This generation is revolutionary is so many ways…they are most certainly a generation of excellence and those of you in leadership should take notice. I could tell you about Mark Zuckerburg’s and Tony Hseih’s or unknown CEO’s like swimwear designer Rachel Hill, the founder and CEO of Origami Customs or Dave Anderson the founder of Acoustic Opera, Canada’s most positive bullying prevention program. I could refer you to Forbes 30 Under 30 list or name those who just won Olympic medals in Sochi. Or I could tell you about the Millennial men and women rising up the ranks in our armed forces. But the truth is you are already surrounded by Millennials who are excelling or have the potential to do so. So what gets in the way of recognizing their excellence? Is it our own bias and inability to “think different”? Excellent leaders don’t believe the hype! They “think different” and challenge those around them to excel. 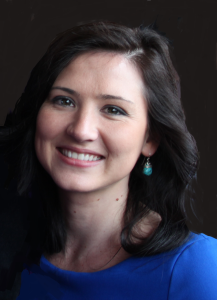 Are you lifting up a Millennials’ vision to higher sights? Are you raising their performance to a higher standard? Have you built their personality beyond its normal limitations? As leaders in an excellence these are questions we have to answer and respond to. It is the very reason why I dedicate my professional practice to equipping Millennials with leadership skills for life. My presentation today is actually unusual since I spend most of my time talking to Millennials, not about Millennials. And it is in their stories that I recognize their deep desire to learn and grow, and understand their need for leadership and mentoring. Unlike Boomers and Gen Xers, Millennials expect and anticipate productive feedback and criticism. In fact, the lack of it creates a sense of insecurity for them. They seek mentoring as one of the many tools they need to succeed. So mentoring Millennials is opportunity for you to “think different” and lead and mentor with excellence. But we must be aware that the old model of the “elder and wiser mentor who espouses their wisdom onto another” is no longer relevant. It is essential for mentors today to enter into mentoring relationships with a greater sense of equity and a desire for mutual reciprocity. There is a lot that mentors can learn from Millennial mentees, and I don’t just mean technology and social media. Certainly technological skills are something Millennials have to offer, but there is so much more to be learned from those who are different from us, it only requires us to listen and be willing to learn as much as we are to teach. Effective mentors are curious about difference and must be able to co-create a mentoring relationship where both the mentor and mentee are able to accept differences and adapt. 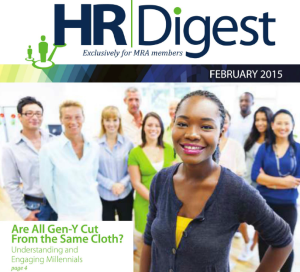 So how can you mentor excellence in Millennials?  Ask questions and gather more information – be curious!!! As leaders in excellence it is essential that we recognize the excellence around us, as public servants it is critical to prepare for tomorrow and create a legacy of service for future generations. Recognizing and valuing difference is only an asset when you leverage it. So I encourage all of you, including the Millennials in the room, to challenge yourself to “think different” and take advantage of the mentoring opportunities around you. Thank you again for the invitation and opportunity to be a part of your program and celebration. I congratulate all of the winners today, and the future winners of tomorrow. Click here if you would like me to speak at your next event!